For the 4th and final post for this little mini-series, the pipe-dream of how we can make our new Community Science Center into the focus of a renewal of science education in our college district, I offer my favorite idea. The same kid who found the first dinosaur, Al Bennison, became a paleontologist in later life. 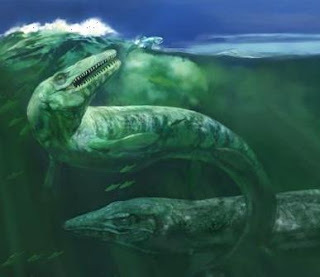 One of his discoveries in the Diablo Range was a new species of Mosasaur (Plotosaurus bennisoni), a sort of late Cretaceous sea-going lizard that has been likened to a T-Rex of the seas (Sorry, Charlie). These creatures were nearly 40 feet long, and some had jaws 4-5 feet in length with huge sharp teeth. What could be better than one of these hanging from the ceiling of the atrium? The first photo is a skeleton I saw on display in the Auckland Museum of Natural History in New Zealand...the painting is from TaylorMadeFossils, who sells a 36 foot long replica for $39,000 assemblied, and $21,000 unassembled (how hard could it be??). Continuing the string of thought concerning how we might produce "shock and awe" among the visitors to our new museum, there is another idea. Dinosaurs are almost out of fashion, in a sense, since it has been quite a few years since Speilberg made a sequel of "Jurassic Park". And...we have a host of really cool ocean-going reptiles that were as ferocious or scary as any little ole' raptor. 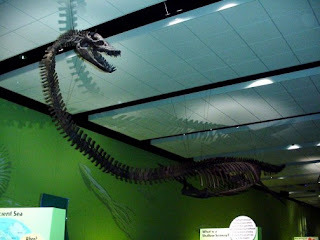 The sediments of the Great Valley Group have yielded numerous specimens of of Plesiosaurs, which I could imagine as suspended above the main floor of the atrium. The example for sale here by Triebold Paleontology (for, um, $70,000) is 42 feet long. The next level of the "Wow Factor" (see part 1) regards our district's special place as the first place in California where a dinosaur was discovered. 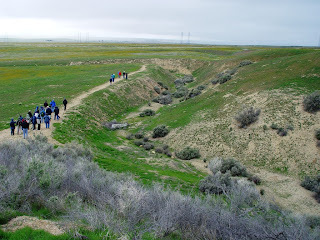 Del Puerto Canyon drains the eastern slope of the Diablo Range above the town of Patterson in our community college district. Back in the 1930's, a young man from Patterson, Al Bennison, found bones on a hillside up the canyon. 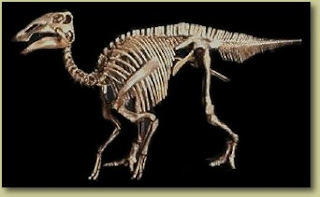 Eventually excavated and prepared at UC Berkeley, the partially complete skeleton proved to be a species of hadrosaur, Saurolophus. Finding such a creature has to be regarded as slightly unusual, as California lay mostly below sea level at the time. It was probably a carcass that floated out to sea after being caught in a flood. I have a once-in-a-career opportunity coming up soon. Our community college, for better or worse, is the highest-level public academic institution in our town (we fought for and lost the chance to host the newest UC campus, which ended up at Merced instead). A while back, the public passed a huge bond issue, and we now are designing a community science center, which will include the physical sciences labs, classrooms and instructor offices, but will also include a planetarium, observatory, and best of all, a public museum. We have a local natural history museum (the Great Valley Museum), which has been struggling for years in a couple of ancient buildings next to our campus, but now we will have one beautiful integrated structure that will be a centerpiece of science education for our county. The conundrum? What do we do for the "wow factor"? The building will have three stories, and there will be a main entrance atrium that will be the gateway to the museum and to the classrooms as well. What do we put in this atrium area that will capture the attention of people, and especially children who are visiting the museum? What can we put there that will capture the essense of what is special about the natural history of the Great Valley of California? Well, I have some ideas. It will take a couple of posts, so my apologies to Chris at Highly Allochthonous for filling up his Geoblogosphere feed. As geologically boring as our valley might seem at first glance, with endless flatness, and agricultural fields, it does have some striking geology, admittedly mostly beneath the surface. The sediments of the Great Valley are thousands of feet thick, dating back to Jurassic and Cretaceous time, but they have been curled up at the edges to form a homocline in the eastern Coast Ranges, so we know what these layers contain, and there is some good stuff here, mostly having to do with the history of life in Mesozoic and Cenozoic time. Noting the picture above, I figure this is the most bang for the buck. 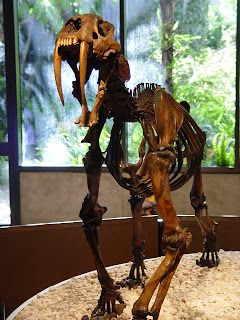 A full-sized replica of a Smilodon californicus (the saber-tooth cat) can apparently be had for around $6,000-7,000. It was a denizen of the plains of the Great Valley, has been found nearby in the Fairmead Sanitary Landfill, and has the added benefit of being the California State Fossil. I imagine the squeals of kids as they see one of these things greeting them as they enter the museum. This would lead in turn to some possible displays in the museum, some discussions of the kinds of animals that Smilodon hunted. What do you think? I have a few more ideas to be presented in the next couple of posts, and I am hoping to catch the attention and imagination of some of my committee members. Thanks for your ideas! This takes me back to a very fine field trip we had to Yellowstone in 2006. Wandering about the Old Faithful geyser area, I was snapping photos of Castle Geyser when Beehive started erupting at the same time. 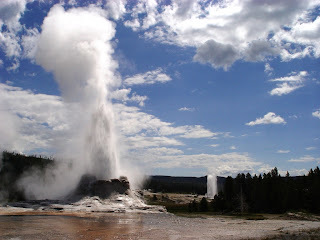 Old Faithful is the iconic geyser, but many, many others are every bit as photogenic and far less crowded. Something like 70% of all the geysers in the world are within the boundaries of the park; it's one of those places that should be on every geologist's lifetime list. Despite all the crowding and over-exposure of the place, it is still a wonderous place to visit. Speaking of webcams in volcanic places, be sure to check out one of my absolute favorite parks in the world: Lava Beds National Monument. They have a webcam showing the tremendous view of the Modoc Plateau from the veranda of the park visitor center at http://www.nps.gov/archive/labe/content/webcam.htm. And don't forget to check out the ongoing eruptions at Mt. 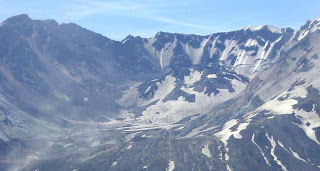 St. Helens National Volcanic Monument (http://www.fs.fed.us/gpnf/volcanocams/msh/), and Hawaii Volcanoes National Park (http://hvo.wr.usgs.gov/cam/index.htm). 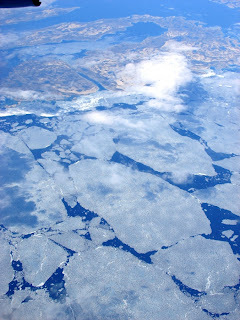 Today's picture is a "twofur", taken out the plane window while in the vicinity of Baffin Island in Canada. It was late July of 2007. 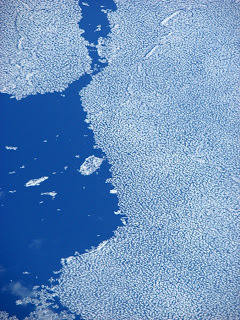 The strange patterns on the ocean surface are clearly ice floes from the summer breakup of the pack ice that forms every year in this region. From 34,000 feet, it is difficult to get a sense of the size of the individual floes, so I have added a second picture with a wider view showing some of the islands in the near vicinity. I would have to guess that the floes are a few tens of meters across. So much of the world lies undiscovered and unexplored. How many people have ever wandered through this region? Not that it would be easy in any sense of the word! Still, how many fossils remain to be found in these rocks? How many missing bits of geologic history? Several of my flights have passed over Greenland and northern Canada, giving me a chance to see some glacial features that I may never otherwise have a chance to see in my travels on the ground. 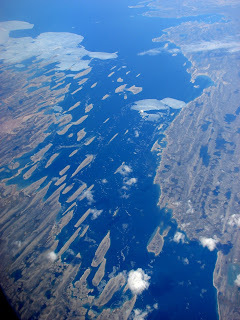 Here are some beautiful drumlins partially submerged in water. I am struck by the absolute barreness of these landscapes, perhaps hundreds of miles from any human settlement. I think this was in the vicinity of Baffin Island, but as I mentioned in an earlier post, United didn't offer a GPS screen when movies were running. I haven't found the site on GoogleEarth yet, and I invite anyone to try and find it! Nearing the end of the Cascades Volcanoes theme, I offer a panorama of the Three Sisters and Broken Top in central Oregon. The summits of the mountains are hidden by lenticular clouds, which form as air masses are forced over the summit, and condense to form the strange shapes. Or, they are smoke screens placed by aliens as they land on the peaks. North (10,090 ft; 3,075 m) and Middle Sister (10,050 feet; 3,063 m) appear as a single peak on the left, with South Sister (10,360 feet; 3,158 m) in the middle. North Sister is a shield complex that has not erupted in at least 100,000 years. Middle and South Sister are stratovolcanoes, with the most recent activity on South Sister about 2,000 yrs BP. Rock Mesa is a dacite dome (the barren area in the foreground a little to the right of South Sister), and was one of the last outpourings of lava. The much older complex stratovolcano of Broken Top (9,152 ft.; 2,789 m) is on the right. Measurements starting in 2001 show that an area near South Sister is rising (around 1-2 cm per year) which may indicate renewed volcanic activity. The Earth's climate is now clearly out of balance and is warming. Many components of the climate system—including the temperatures of the atmosphere, land and ocean, the extent of sea ice and mountain glaciers, the sea level, the distribution of precipitation, and the length of seasons—are now changing at rates and in patterns that are not natural and are best explained by the increased atmospheric abundances of greenhouse gases and aerosols generated by human activity during the 20th century. Global average surface temperatures increased on average by about 0.6°C over the period 1956–2006. As of 2006, eleven of the previous twelve years were warmer than any others since 1850. The observed rapid retreat of Arctic sea ice is expected to continue and lead to the disappearance of summertime ice within this century. Evidence from most oceans and all continents except Antarctica shows warming attributable to human activities. Recent changes in many physical and biological systems are linked with this regional climate change. A sustained research effort, involving many AGU members and summarized in the 2007 assessments of the Intergovernmental Panel on Climate Change, continues to improve our scientific understanding of the climate. During recent millennia of relatively stable climate, civilization became established and populations have grown rapidly. In the next 50 years, even the lower limit of impending climate change—an additional global mean warming of 1°C above the last decade—is far beyond the range of climate variability experienced during the past thousand years and poses global problems in planning for and adapting to it. Warming greater than 2°C above 19th century levels is projected to be disruptive, reducing global agricultural productivity, causing widespread loss of biodiversity, and—if sustained over centuries—melting much of the Greenland ice sheet with ensuing rise in sea level of several meters. If this 2°C warming is to be avoided, then our net annual emissions of CO2 must be reduced by more than 50 percent within this century. With such projections, there are many sources of scientific uncertainty, but none are known that could make the impact of climate change inconsequential. Given the uncertainty in climate projections, there can be surprises that may cause more dramatic disruptions than anticipated from the most probable model projections. This month's results from the Accretionary Wedge Carnival have been posted over at Green Gabbro, on the subject of (least) favorite geological misconceptions. There were some great posts submitted this month, and mine too. Check it out! One more Cascades photo; one that mystifies me a little bit, as I am unfamiliar with the territory...I am wondering if anyone has a clear idea of the origin of the mounds? This shot was taken on the approach to SeaTac from the south. I am curious if they are mima mounds, although if they are it still doesn't answer the question of their origin, since mima mounds are sort of an enigma themselves. 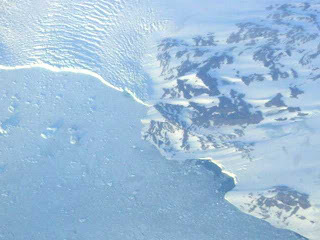 I am also curious if this picture has some subglacial features, channels or kettles. I welcome some speculation or even some expertise! Addendum a few hours later....researching my own post: the GoogleEarth site for this picture lies at 46 deg 54'52.13"N, 122 deg 50'21.84"W in Thurston County, WA. Looks like a classic mima mounds site, but has other interesting features too. We actually have some mima mounds in our own backyard here in the Central Valley of California, although I am not sure if they share the same origin. Certainly no massive ice sheets here in the Merced/Modesto area during the Ice Ages, although some of the low foothills here include some outwash plains. 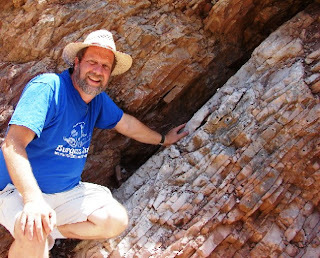 Andrew Alden at About.Com: Geology has a good post about the progress of bringing minorities(and majorities, let's not forget about women), into the geological sciences (http://geology.about.com/b/2008/01/21/overcoming.htm). Like it or not, the geology working world is still a "good ole boys" network that continues to exclude people who are not like "us" (spoken as a middle-aged white male). I begin every one of my classes with a short exercise where I ask my students to clear their minds of all thoughts (not generally hard to do...), and I say the word "scientist". I then ask them to describe the image that pops into their head. The answers invariably start with a white lab coat and a pocket protector, test tubes, and either a bald head, or an Einstein shock of white hair. Then I ask about the gender (always male), and the ethnicity (invariably white). This in a class that is often more than 50% minorities. We sometimes talk about commercials in which the advertiser wishes to impart some kind of scientific respectibility about their product, and the stereotype is in full force. Although "we" (once again spoken as a white male) like to think we are past some of the injustices that checker our country's history, they are not gone, not by any means. One of my students, a female, worked as an intern in a local geological consulting firm, and was subjected to demeaning treatment because of her gender. This was by people I had known for years, and it both saddened and angered me. I have had lunchtime discussions where there have been complaints that faculty and administrators at my institution were selected on the basis of affirmative action rather than for their skills and talents, despite the fact that the people in question were effective and creative people. What bothers me even more is that I didn't speak up and respond when I had the chance. These are small examples from my own experience, and cannot compare to the vicious and insidious hatred that still manifests itself in hate-crimes that still occur with sad regularity. It doesn't even touch on the huge economic disparities that have always existed between races in our society, and which have grown even worse in recent years. And it does not begin to add up to the horrific treatment in our society of gays and lesbians. I know I don't have much of a wide readership on my fledgling new blog, but I hope anyone that stumbles across it will consider the state of our society: we still have deep, deep problems with stereotypes and prejudices when it comes to race and gender. I know that despite my desire not to do so, I jump to conclusions about the abilities of students that appear in my classes, based solely on race. I know from long experience that these assumptions almost always turn out to be unjustified. Recognizing these stereotypical attitudes in ourselves is the first step in overcoming them. Try to be aware that when you serve on a hiring committee, that the person you are selecting is often, whether you are aware of it or not, the person who is most like yourself. We need to be open to new possibilities. Mt. Hood, in northern Oregon, is one of the most beautiful and symmetrical stratovolcanoes in the Cascades. At 11,249 ft. (3,429 m), it is the tallest mountain in Oregon. It is also considered to be one of those most likely to erupt in the next few decades or centuries, with nearby Portland at risk for lahars and ash falls. As noted in previous posts, these volcano pictures resulted from a flight to Seattle on an extraordinarily clear day in 2003. From the air, the scale of the eruption of Mount St. Helens is clear. Even after 25 years, much of the landscape north of the volcano is barren. 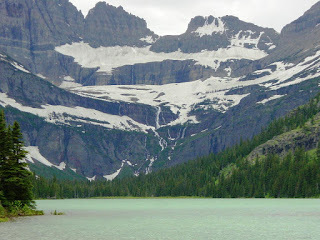 Spirit Lake can be discerned to the left of the beheaded volcano in the center of the photo. Coldwater Lake (to the left, and forward of Spirit Lake) formed from the damming effect of the debris avalanche and ash flow down the Toutle River valley. You wouldn't know it from the near total lack of interest in the media, but St. Helens has been in continual eruption since 2004, and a new dome has grown, which towers above the older 1986 dome. Remote Mt. Adams rises in the far distance. This photo was snapped during a flight to Seattle from San Francisco on an extraordinarily clear November day, and our route took us past all of the major Cascades volcanoes. My attempt to get pictures of all the major peaks was nearly successful, except that we apparently flew directly over Crater Lake, and I was briefly disoriented at first and missed Shasta and Lassen at the south end of the range. Some obvious choices come first...volcanoes are spectacular from above. I had an extraordinary flight to and from Seattle, when the skies were clear and cloudless, and the route took us alongside nearly all of the Cascades volcanoes (those pictures are forthcoming). The return flight, which started after sunset, did not seem to offer many possibilities for photography, but the long twilight caused Mt. Rainier to shine with a blue glow that was ghostly and hypnotic. Rainier is the tallest Cascade volcano, and has the longest glaciers in the lower 48 states. It is not considered to be much of a risk for explosive eruptions, but even a small non-explosive eruption could produce massive lahars (volcanic mudflows), as melting glacial ice mixes with ash and debris. Several large urban areas at the south end of Puget Sound are at risk. What a perfect situation for photographic excellence: small dirty scratched windows, absolutely no control over the route, inclement weather conditions, and jetwash distortions. Taking pictures from a commercial airliner is an exercise in futility. And yet, who of the geologists among you has been able to resist the impulse to try to take decent pictures of the geologic phenomena below you on those long, boring flights? I had a fair number of opportunities to fly in the last seven years that I have had a digital camera, and I CANNOT RESIST the urge. The cabin stewards often give me the evil eye when I spend hours standing around the lavatories at the back of the plane where I have access to windows on both sides of the plane, and my dear wife gets irritated that I keep climbing over her to walk to the back of the plane to get another shot. And yet I have had some really neat teaching and learning moments with other passengers about what was going on below, and I have even heard the words "Really, I had no idea" from jaded airline employees. So, just to do something different, I would like to use the "Picture of the Day" format to highlight some of the really cool things I've seen from 35,000 feet over the last few years. I would love to see some of your best shots on this theme as well. My first selection for this series is an otherwise unremarkable low-resolution shot. It is the back-story that I would like to relate. In 2001, I took my students on our first international field studies trip, to Scotland. It was, in fact, my first interoceanic flight, and I had possessed the digital camera for a grand total of one day, and before taking off, I had taken a grand total of three pictures. The flight, from San Francisco to London, was about 9 hours long. We had individual monitors and a GPS map on our seatbacks, so I knew where we were at all along the flight. The smart folks on the flight knew all about jetlag, and went to sleep. I was very keyed up, couldn't sleep, and I kept my eye on the ground throughout the entire flight (I would regret this 32 hours later when I would finally sleep again). But...the flight path took us over Greenland. I had never seen a continental glacier or ice-cap, and I was anxiously looking forward to my first look. So after 5 hours of waiting, the GPS said we had reached the western coast of Greenland, and of course, there were clouds. And not interesting clouds either. They were featureless stratiform clouds that revealed nothing of the landscape underneath. My frustration was intense. But I waited, and waited. For the next hour or so we flew over the land, seeing nothing. And finally, while everyone else slept, just as we reached the eastern coast, the clouds briefly parted, and for perhaps two minutes, I could see the end of the glacier where it was shedding chunks of ice into the Atlantic. And I snapped this picture. I use it in my classes, even though subsequent flights have revealed much greater scenery. Thanks for your patience if you made it this far in my story! If you would like to see some of the other pictures of our Scotland journey, check out http://virtual.yosemite.cc.ca.us/ghayes/Scotland.htm. I look forward to any contributions you might have to offer for this series! New side of Mercury Exposed! The Messenger spacecraft completed the first pass of Mercury, and the first images are being posted here: http://messenger.jhuapl.edu/gallery/sciencePhotos/image.php?gallery_id=2&image_id=117. I remember back in the days of my childhood when telescopes were really cool, but planets were a bit of a disappointment because they were just little round disks, but the Voyager and Viking missions changed everything with their spectacular close-up images of the Mars, Jupiter, Saturn and many of their fascinating moons. 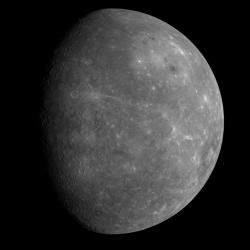 Mercury was the subject of a fly-by in 1974-75, but only half the surface was imaged. And TODAY we get to see part of the missing half. Check it out! All My Faults are Stress Related has a great post about geological threshold concepts that got me thinking about those "ah-ha" moments when some difficult concept suddenly becomes clear. Check it out! 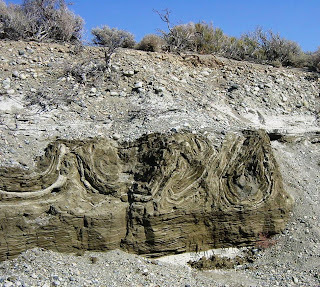 The Accretionary Wedge carnival is a monthly forum amongst geobloggers highlighting some of our favorite gripes, pleasures and intuitions. It is entertaining to see how our colleagues and associates think! This month's theme, hosted by Green Gabbro (http://greengabbro.net/) is your (least) favorite misconceptions in geology, and an alternate choice, pies and geology (in honor of national pie day on January 22). Here is my submission...check it out and add your own! 7. We are waiting for THE BIG ONE! Since there is at least a (very) small element of truth in a (very) few of some of these, it leads to a good discussion on earthquakes. I look in my files and study a picture of Mt. St. Helens I took in 2001. The 1986 dome in the crater is some 900 feet high, and in 15 years, it has not changed much. I flip to a picture I took in 2006. A huge new dome is there, growing at a rate of thousands of cubic feet per day. Hour by hour, it doesn’t change much, and day by day it looks no different, but it is getting bigger and bigger, and every few weeks, a flank collapses, causing an explosion, and sending ash plumes high into the atmosphere. I think about geologic change. . . I started teaching two wars ago, both of them in the Middle East, and both, despite all of the various justifications for fighting a war, on lands situated over hundreds of billions of barrels of petroleum. I think about the students who have sat in my classes, dozing over another recitation over the scarcity of resources, and going on with their lives, hardly giving a thought to where their gasoline is coming from. The prices rise, bit by bit. It seems barely noticeable day by day, but a hurricane strikes, a bomb explodes somewhere, and suddenly the price for a gallon of gasoline shoots up. It seems not so long ago that $2.00 per gallon was “expensive”. Now people are relieved when the price dips below $3.00. I think about economic change. . . I love teaching about geology. I love it because I am fascinated by the beauty of crystals, the grandeur of earth history, the strangeness of the many animals that have lived on the earth, and I love understanding how a landscape came to be, whether from flowing water, grinding ice, or surging lava. For years, I have looked forward to teaching, just for the joy of opening new worlds to my students. The stakes feel higher these days. We are running out of easy oil. As the price of energy continues to rise, we as a society will finally have to confront the choices that have to be made about our energy future. Who will be making those decisions? The oil companies? The coal companies? The nuclear power plant owners? Who do you think will benefit from their choices? No, the decision lies with the members of our society, whether they want to participate or not. It is our role as teachers to convince, cajole, encourage, and inspire our students to care about the huge changes, and choices, which face our society. It’s not an easy job, but it is important. "Galaxy Quest" anyone? Goblin Valley State Park (central Utah) is one of those little-known out-of-the-way places that is well worth a visit. The nearest town of any size (and that is not saying much) is Green River. 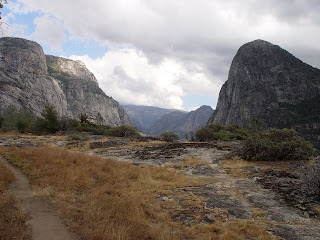 There is a pleasant campground, even with showers, and lots of nooks and crannies to explore. The Goblins occur in a member of the Entrada Sandstone, and result from differential erosion on tidal flat mud and sandstone, with the odd shapes of the goblins (which are often called hoodoos) demarcated by vertical joints. So what happened here? This is a stop on our eastern Sierra Nevada field studies course. It is on the road to Black Butte on the north shore of Mono Lake. The sediments are muds and ash fall units, and are probably only a few thousand years old. The site is about 2-3 miles west of the Sierra Nevada frontal fault system. Our students spend some time sketching and hypothesizing how these sediments might have formed. Black Chasm cavern is a commercial cave in the Sierra Nevada foothills east of the Gold Rush town of Jackson. The cavern has a number of unusually beautiful speleothems owing to the difficulty of access prior to development for tourism (in essence, vandals were blocked by a 90 foot dropoff near the cave entrance). The draperies seen here are spectacular, but other cave decorations are equally grand, especially a wall filled with helictites. More information about tours can be found at http://www.caverntours.com/BlackRt.htm. Another one of the great moments of a geologist's/teacher's life...watching as a new breakout of lava reaches the sea for the first time. I was in Hawaii in August 2006, and had the chance to walk across several miles of new lava to see what I could of the Pu'u' O'o flow off the Kilauea shield at night. Safety barriers prevented the close viewing of any flows and I was ready for some disappointment. Just about the time I was going to give up and head back to the parking area, other hikers said something exciting was happening another quarter mile down the coast. I arrived just in time to see a new tongue of basalt break out from a lava tube, flow across 100 meters or so of the lava shelf, and then over the edge, into the surf. My camera was one day old, and I was scrambling to find a way to get some decent pictures in the dark with a fading flashlight, but a few turned out reasonably well. I was overdue back at the hotel (by about three hours or so), and so am lucky to still be married, but what a great moment it was. It both stunning, and yet hypnotic watching the newest rocks on the planet forming in front of me. The massive steel airlock swung open, revealing a long dark passageway. We cautiously stepped into the darkness. The swift change from dry desert air into the damp interior of the cave came as a shock. The thermometer read 78 degrees, but it felt 15 degrees hotter. Sweat began to trickle down my back. It was an uncomfortable moment, but it quickly passed as I began to see the wonders that lay within. Due to the generosity of our colleagues in the Southwest Section, I was attending a special tour of Kartchner Caverns in the desert of southern Arizona near Tucson. It was a unique and strange experience. The caverns were discovered in the 1970’s, but their existence was kept a highly-guarded secret, so that they would not suffer the kind of vandalism and damage that is the fate of so many other caverns throughout the world. Following intense negotiations, the Arizona state legislature approved the formation of a state park without exactly knowing what it was that they were protecting. The philosophy that guides the park is that the caverns should be maintained in as close to their pristine original condition as is possible, while allowing visitors to see the spectacular features inside. To accomplish this, airlocks were installed to maintain the near 100% humidity (difficult in the desert environment), and trails were constructed carefully to protect the incredibly delicate cave formations. It is quickly evident that apart from the constructed walkways, human feet have never touched most of the cave surfaces. In short, a visit to the cavern is not so much a spelunking expedition, but rather a museum tour. I don’t want that to sound like a negative observation. Few of us will ever have the opportunity to see a more pristine cavern in our lives, and few in the world are as nicely decorated as Kartchner, with all manner of helectites, soda straws, shields, and other rarely seen and easily destroyed features. Wandering through the passageways, I could sense what it must been like to discover a new cavern, and in doing that, I had just mentally checked off another of the items on my own geologist’s life list. The life list? Many of you may remember an excellent article in the April 1990 issue of Geotimes by Lisa Rossbacher about the places in the world that all geologists should try to see in their lifetimes (A modified version of the list can be found at http://www.uc.edu/geology/geologylist/). Though not explicitly stated, it was also an acknowledgement that our life experiences can have a powerful influence on our teaching success. I hate to say it, but I used to speak somewhat blandly in my classes about Hawaii and hot spot volcanism until I had the experience of standing in front of an advancing basalt flow near Pu’u ’O’o a few years ago. Today I get excited telling others of the experience. I found and held fossils of the Burgess Shale fauna, as related in my last note. My historical geology classes are being transformed as a result. But lately I have started to feel a sense of urgency. The years are rolling by and there are too many places on my list that I haven’t been to yet. Committee work and curriculum planning chews up a lot of the hours of our lives, and though these things are important in their own way, I’m left feeling afraid that we might be getting behind in what really counts in our own lives as teachers and scientists. But what’s even more profound, and more important in the long run, is that we are the portals through which our students are going to start their own geological journeys. Even if we can’t always take them directly, we transport them to these unexplored places with our pictures, our words, and our enthusiasm. Their view of the geological world begins with your experience. Are you behind on your own life list? How are you going to catch up? This is the kind of picture I hesistate to post...one of my favorite places in the world, but which is also largely unknown, unspoiled and undeveloped. 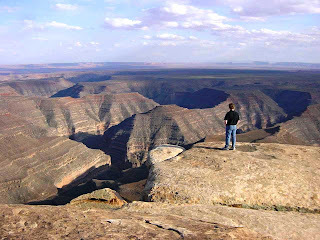 It is on the edge of Cedar Mesa, overlooking the Goosenecks of the San Juan River in southern Utah. The layers are Pennsylvanian and Permian sediments of the Paradox Basin, and consist mostly of limestone and evaporites. It is one of the magical places of the world, and I return as often as I can. Monument Valley and the Raplee Anticline are visible in the far distance. "...I stepped over the pile of Grizzly droppings and continued up the trail, suddenly a bit more attentive to my surroundings. The clouds above were threatening to let loose with a downpour, and I was getting tired, having already walked 5 miles horizontally, and 2,500 feet vertically, to approach the glacially carved ridge high above. But none of these distractions mattered; nothing was going to disturb my mood. I was almost there, almost to the quarry where Charles Walcott discovered the Burgess Shale fossil assemblage back in 1909. It is hard to describe my feelings as I took those last few steps up to the rocks in the opening above. 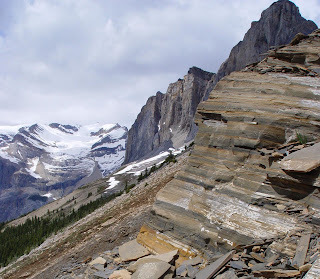 No doubt many of you are familiar with the Burgess Shale fossil locality from your earth history and paleontology classes. It is one of the few places where the soft anatomy of creatures was preserved, giving us a unique picture of a moment in time some 515 million years ago, very soon after the “Cambrian explosion”. The usually common trilobites take a back seat to the strange and graceful creatures like Marrella, Opabina, Pikaia, Hallucigenia, and Anomalocaris. What a privilege to pick up and consider these small treasures from a time so different from our own. I stood there on that high mountain ridge in the Canadian Rockies, thinking about my students back home in Modesto. How would they feel if they were here? I had to think that the earth and its history is so rich, and so stupendous, that not even the most cynical student could fail to be moved by the incredible diversity of life, and the long tectonic story that formed the earth we see today. If they could only just be there. It is our job to bring the world to our students. We can’t always take them there in person, but we can make the earth alive to them in our classrooms and laboratories. We provide the tools for them, and through our guidance they develop the skills to find answers to their questions about the processes and history of the earth. It is our example that brings to light the scientific method of testing hypotheses and developing theories through careful investigation. " Touching the demise of the dinosaurs? This is the famous outcrop at Gubbio, Italy, where the Alvarez team discovered the iridium anomaly that led to the modern development of the asteroid hypothesis of the extinction of the dinosaurs and other Cretaceous creatures. The layers of limestone above and below the clay layer behind my hand contain very low amounts iridium, on the order of 6-8 parts per trillion, but the clay layer itself is over 3,000 ppt. Iridium is a relatively important constituent of asteroids, but is generally rare in the crust of the earth. Similar anomalies around the world suggest a global event. The issue, of course, is not settled, as other hypotheses explain the iridium as a result of deep mantle source volcanism, and uncertainties exist as to whether the layer actually represents the extinction event. I hope that this blog will be a clearinghouse for information on geology, earth science education, and the exploration of the beautiful places of the earth! It will take some time for me to get used to the format, so posts will be infrequent at first, but I am looking forward to communicating with you about the issues facing the geological community and the education system. Since discovering digital photography, I have been taking thousands of pictures of geological features and interesting places, and I will be posting some of them here as well. (Added 2012) If you would like to see some of my photo collections, please check out the photo gallery on my website at http://geotripperimages.com/. If you happen to run across this site and want to comment, please do so!